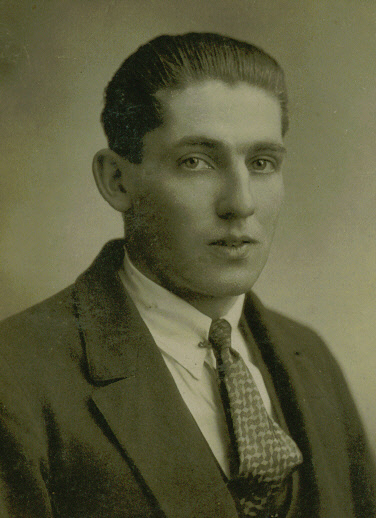 Frank was the tenth child born to Alfred and Emily Wray on 17 July 1899 in Preston. He was baptized just over a year later, on 14 October 1900. He started school two days before his third birthday. The couple had three children before Frank died, aged 36, from pneumonia. He was buried at St Martins Church, Preston on 15 October 1936. Margaret (who was expecting her fourth child when Frank died) claimed parish relief in 1936-7. Daphne was removed from Preston School for London on 19 April 1940. Margaret’s children were living in north-east Surrey after World War Two. My mother associated the family with a garage at Mitcham, London. 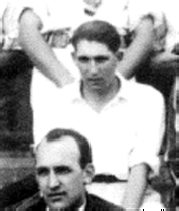 Frank earned a reputation as a good village cricketer, bowling in tandem with his brother Sam. He was a right-handed batsman and an opening, fast-medium bowler, ‘a very useful all-rounder’. He was playing in 1920 when he took 6 wickets for 14 runs in one match and a ‘hat-trick’ of wickets in another game. In 1923, (when the photograph left was taken) he scored 73 not out in one match and 33 and 5 -14 against another team. He was included by D Frost in his ‘Best-ever Preston XI’. Frank enlisted in the army in 1917 when he was eighteen. That year he was sent to fight on the western front. He fought at the battles of the Somme, Cambrai, Ypres and Neuve Chapelle. He also took part in the retreat and advance of 1918, when he was wounded. After the Armistice, he was sent into Germany with the army of occupation and served on the Rhine. He returned to England in 1920 when he was ‘demobbed’. 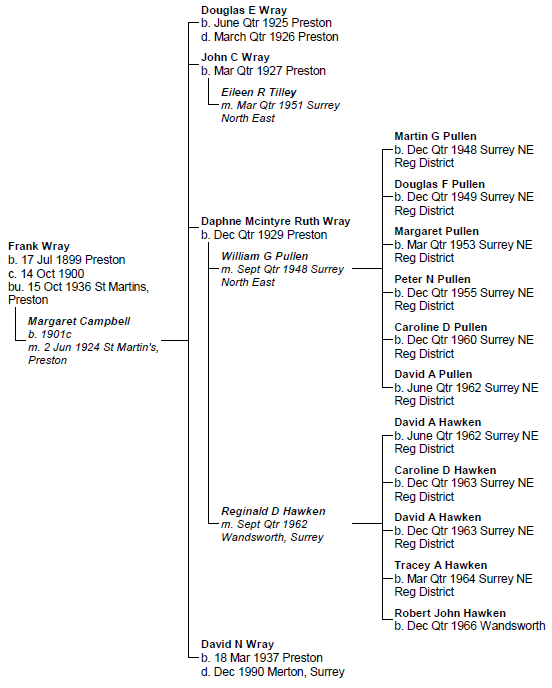 In the early summer of 1923, he married Margaret Campbell at St Martins, Preston. Margaret was from Scotland and a housemaid for Mr Vickers at Temple Dinsley. 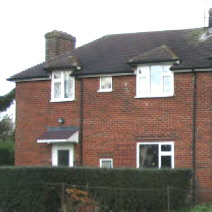 The couple were living in the bungalows at School Lane, Preston from 1927-1929. The Preston School Registers then note the family as living at 9 Council Cottages, Chequers Lane, Preston (above) from January 1932. However, they also record that when their daughter, Daphne, was first a pupil at Preston in July 1919, she had previously been attending Finsbury Park School in London. Their son, John, was taken out of Preston School on 19 April 1936 when he was about nine years old, and ‘left the district’. The impression is given that members of the family regularly moved between London and Preston.